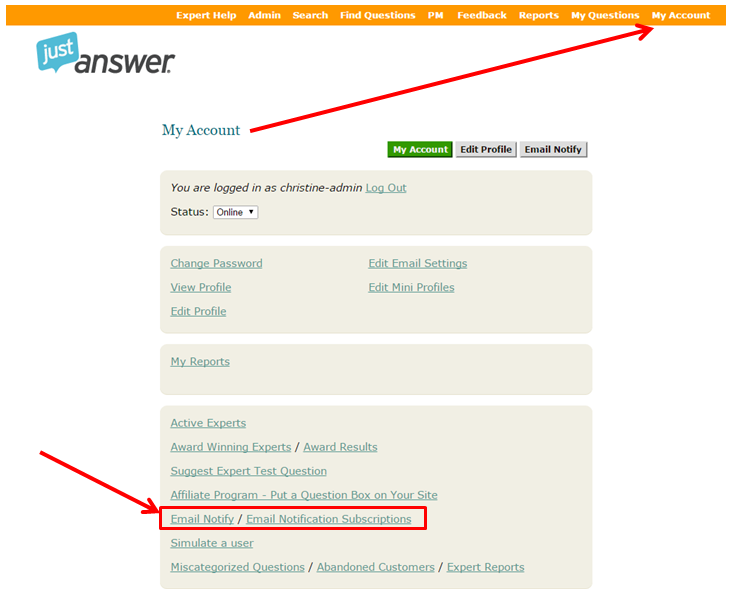 Experts can set up and edit their email notifications to alert them whenever a new question comes into their category. You can set frequency, keyword alerts, categories, and words to exclude. For example, if you are an Expert in the Family Law Category and have expertise in Texas law, you can choose the "Family Law" category and enter the word "Texas." You can add multiple keywords and use a comma to separate them. When I do this it states I have no subscriptions?